Rule4 is a young Boulder start-up that balances growth and purpose in its journey. They just applied for the B certification, using the same assessment that the Best for Colorado program uses. They are willing to be part of this new movement to have a positive impact through economy. We spoke with Vice President of Client Services Haley Berry. Tell us about Rule 4. We’re a boutique professional services firm based in Boulder. We launched in September 2018 to provide cybersecurity and emerging technology expertise to organizations of every shape and size, across all sectors. Our main goal is to make sure technology is applied in a positive way that boosts mission-driven organizations and benefits humanity and our planet. We’re unique in that we’re out on the edge of this new technology frontier, and not many companies out there are offering the services we do or have the expertise and experience to be able to do so. There’s a ton of exciting new technology out there — AI, machine learning, automation, Industrial Internet of Things, biotech, and so much more — but not many folks are focused on making sure this technology is used correctly and that the data is secure. How would you describe corporate social responsibility in your company? We’re committed to transparency and operate as an open-book company, meaning all financial and operational information is shared with every employee. One of our core values is “Give Back.” We offer charitable donation matching up to $1,000, and paid time off for volunteer work. We donate at least 1 percent of our profits to local nonprofits. We prioritize working with mission-driven organizations. We give preference to local businesses and B Corps whenever possible for purchasing. We used recycled materials when renovating our office, and we have a purchasing policy that prioritizes recycled and eco-friendly office supplies. We host local meetups — BLUG, DevOps Boulder, JAVA Users Group — and other community groups so they can come together and share ideas without the financial burden of renting a regular space. We are working toward zero-waste events. And we have B Corp Pending status and are working toward full certification. How did that emerge — was there a specific event/individual that inspired this action? Our Co-CEOs, Trent R. Hein and Dan Mackin, serve on the boards of local nonprofits and have a deep history of community involvement, both inside the IT community and the Boulder community at large. So they really set the tone from the very beginning. And we’ve all had enough experience to know that in order to be excited to come to the office every day, the work has to be fulfilling, and the way to do that is to base the company on more than just profit. We want to know our work matters, that we’re actively doing some good out there in the world. And we want to be engaged in the community. So we’ve built that in as bedrock of our culture. Is it a separate function from the core business or is it built into the fabric of the operations, product, service, team, etc.? It’s woven through pretty much every layer. We make our decisions based on what’s best for our clients and our employees and the community and the world, not what’s going to make us the most money. It’s embedded in our core values, built into our mission statement, and present in our policies and the way we do business. What is the value for a business to start this journey? There are so many benefits. It gives your organization a deeper sense of purpose beyond the pressure to make money. That translates into an advantage in recruiting, marketing, and sales. People want to work for, and with, companies that show consideration for the world, not just themselves. And the B Corp community and related efforts like Best for Colorado offer so many resources to help you connect in the community and build your business. What was your overall experience with the BIA? What is the value of this type of program for your company? The BIA is a great framework for anyone who wants to start a business that prioritizes social responsibility or who wants to change their existing company to do so. It was cool to fill it out and feel like the way we do things and our planned path were validated, to go through it and often say, “Yep, we do that” or “Yes, we have plans to make that happen soon” or “We do more than that.” But then it’s overwhelming to emerge from the BIA with a long to-do list and so many ways to improve. It’s a tricky situation for a perfectionist! But taking the BIA and truly seeing the details of the standards we will be expected to meet forced us to make a plan, and it gave a shape to all the areas we needed to keep in focus. But I think if I didn’t have a project management background and wasn’t a big fan of lists and spreadsheets, I would have emerged very overwhelmed. Did you think of a specific challenge that you overcame working with the assessment? Explain. Since we’re a startup, we completed the assessment and applied for Pending status, which means we have a year to keep working on the assessment and get to the 80-point mark. So we’re really just getting started in terms of actually working through it. We have a task plan and are confident we’ll get there. So the main challenge with the assessment so far has just been the amount of time it took to complete a first pass and distill that into a project plan. It’s not insignificant, but it’s worth it. Can you describe any eye-opening experiences working with a framework such as the QIA/BIA? Not so much eye-opening as it was heartening to discover this network of like-minded organizations who have been paving the way. It’s invigorating to be part of a movement like this, and to see what others have been doing. What is most rewarding/challenging about this aspect of your organization’s work? What areas are you most concentrated on right now and why? It’s rewarding to know we’re doing things right, and to feel connected to other businesses and the community. The main challenge for us right now is making time to prioritize these efforts. We’re a new business, so we have to be smart and strike a balance to make sure we’re successful enough to support our mission. But we’re choosing to take that statement of “There’s always so much to be done” and view it with an attitude of excitement rather than being overwhelmed. There’s so much opportunity for change, so much opportunity to contribute. We’re happy that’s part of our mission. It gives us purpose. Right now, we’re focused mostly on policies and documentation. Once those are established, we feel we’ll have a really solid base to attack other areas of the task plan we generated after taking the BIA. We’ve also been waiting for version 6 to release, and get acquainted with any changes there. Why is this umbrella organization/recognition program important for your organization’s CSR efforts? We wanted another way to prove to our clients that we’re not just full of talk, that we’re good people trying to do good things, and that we have our priorities straight. 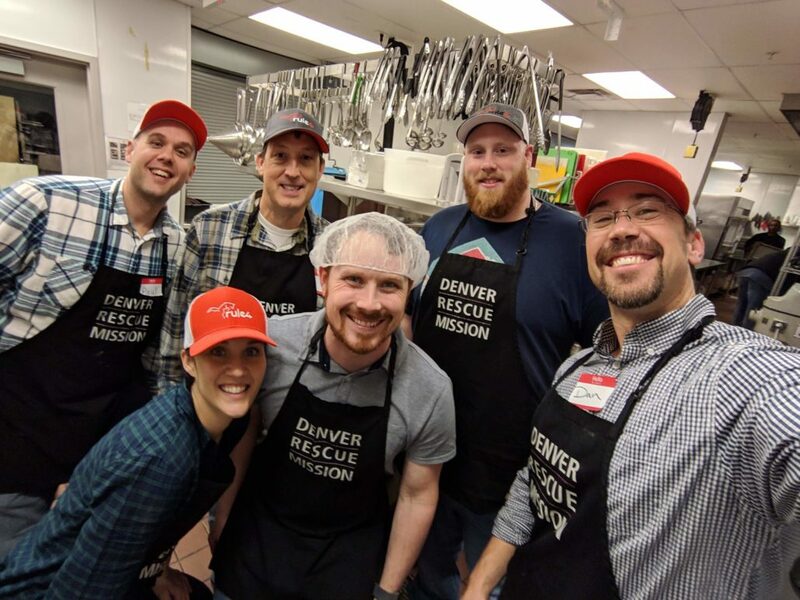 It also seemed like another way to be involved in the Colorado community and contribute to a movement that we believe is key for a bright future and aligns with our mission.